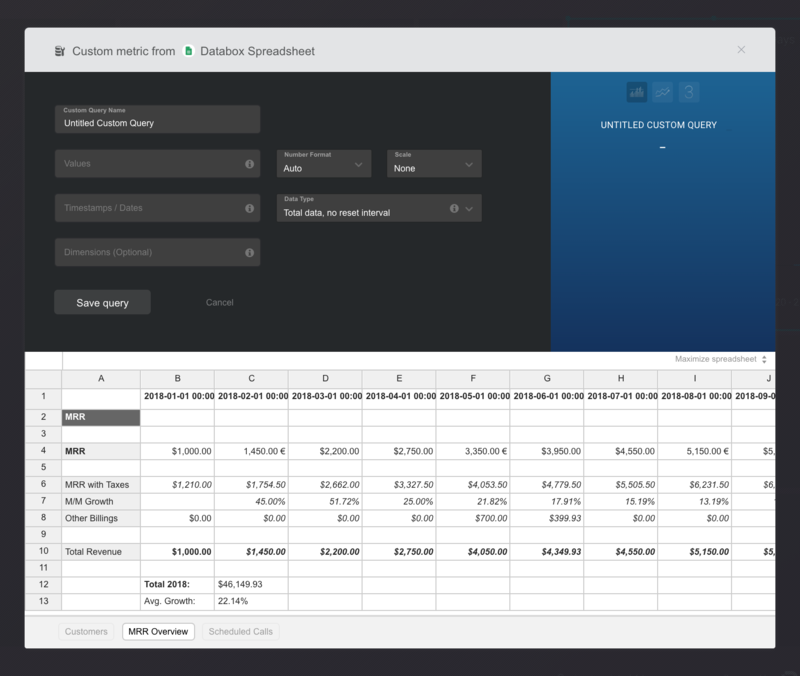 It is easy to create and add a metric to an existing or a new Databoard from a Spreadsheet. 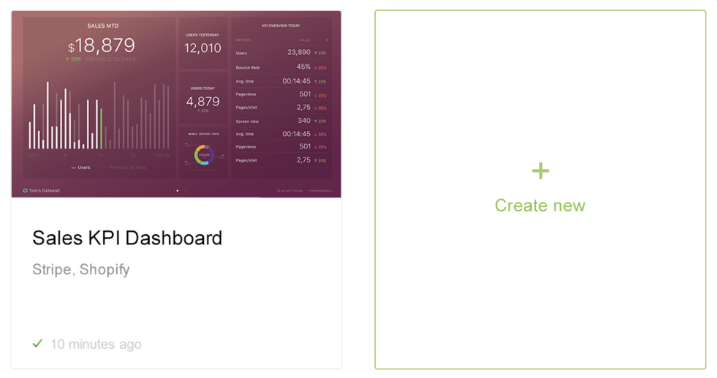 In this article, we will connect a new Google Sheets data source and Add a Metric on a Databoard directly from a Designer in a few easy steps. Make sure that Databoards is selected in the top menu bar or click this link. 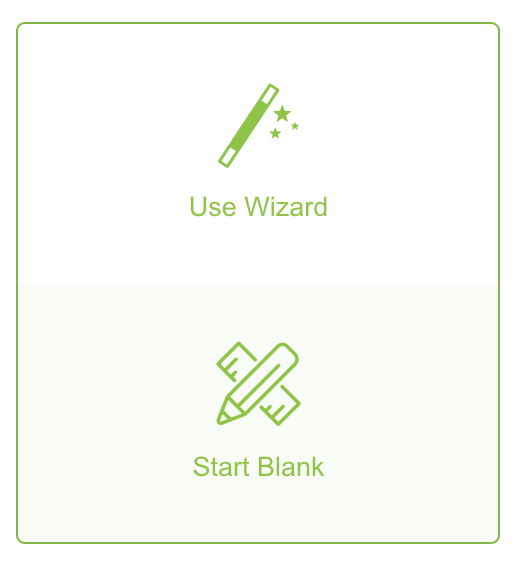 Hit the green + Create New button. Select Start Blank option. This option will take you directly to the Databox designer, where you can start building databoard from scratch. 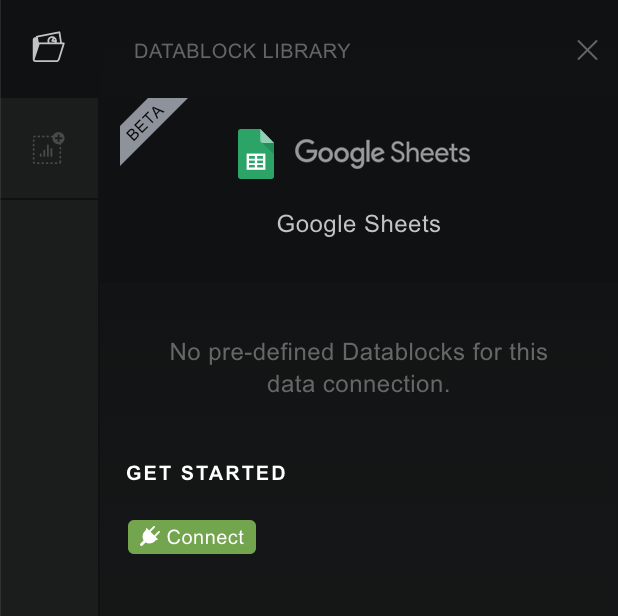 From the left-hand panel (Datablock Library), select Google Sheets data source and click on a green Connect button (skip connecting step in case you've already connected your Data Source), to connect a new Google Sheets document. Login to your Google account when the popup window appears. Choose the appropriate Google Sheets account and File which you want to connect and then click on Activate. Selected Spreadsheet with all tabs will be connected. Read a step by step guide about connecting Google Sheets here. After Google Document is successfully connected Click on + Create custom metric. 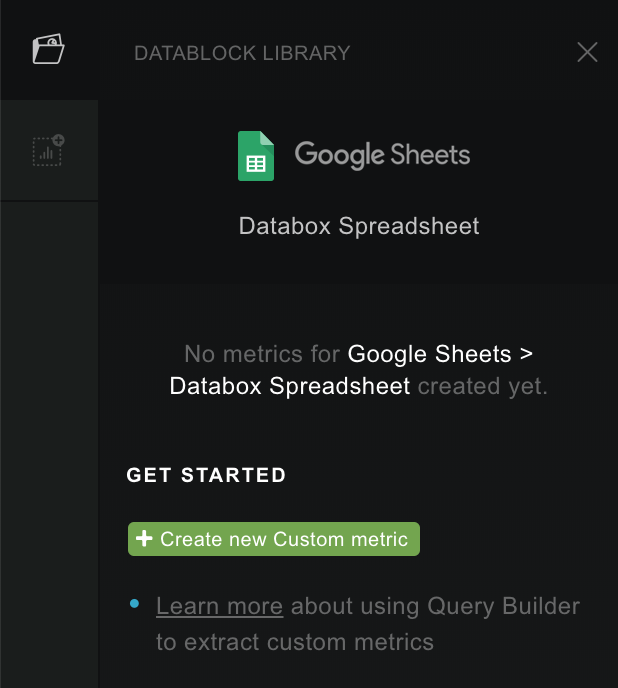 IMPORTANT: After this step, a Query Builder for Google Sheets will open in a Popup window. Please check this article to learn how to create a new metric using Google Sheets Query Builder. After the Metric is saved in a Query Builder, it will be listed and available from the left sidepanel (under "custom" tab). Drag and Drop selected Metric on a Databoard. The Metric can be used with other visualisation types and is also visible in a Metric drop-down under Custom from the right sidepanel (Properties).